This month has been quite an exciting one in terms of new releases and i’m beyond grateful to have received some amazing PR packages these last couple of weeks, including the latest release from Benefit! Although every blogger under the sun is posting about this at the moment, I too wanted to give my opinion on their latest release as i’ve seen some very mixed reviews and hopefully it will help if you’re thinking of picking this up! 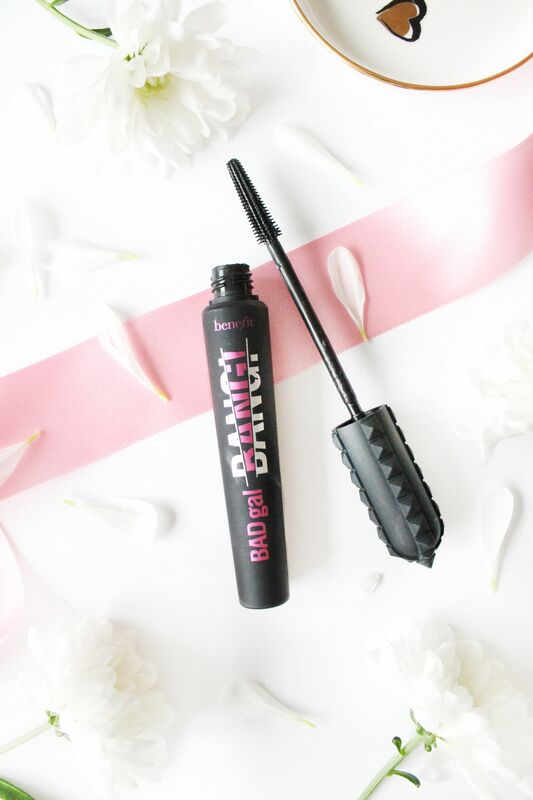 Benefit have recently released their highly anticipated Badgal BANG Mascara, which has been all of the blogosphere recently and here are my thoughts on it so far. I’ve been a loyal lover of Benefit mascaras over the years with Roller Lash being my favourite, and I don’t mind They’re Real, I just often found it a little bit clumpy for my liking. Having said that I have never tried the original Bag Gal, as I never really heard that much about it, so when they sent over the new Bad Gal BANG Mascara* (£20.50) I just had to see what all of the fuss was about. So this mascara is said to create massive volume without leaving the lashes feeling heavy or weighing the lashes down all with the volume lasting as long as 36 hours. The formula itself contains aero-particles, which is said to be the lightest of materials used and the ultra black pigment allows you to layer the lashes to build the amazing volume. Some pretty big statements if you ask me, however i’m not sure i’d ever wear a mascara for 36 hours in order to fully test this theory out. Any who, i’ve been using this mascara for just over a week or so now and it has really impressed me. On first application I was really impressed at the length that this added to my lashes and it coated the lashes in just one swipe. Having continued using this throughout the week, there are definitely days where i’ve preferred it to others, as I do find that it can go on very clumpy and other days it doesn’t, all of which I think is down to how wet this mascara actually is and usually I find you need to let mascaras dry out a bit before you can really get the finish you want. Having said that I do really like this mascara, and for days where i’m not wanting to wear much makeup but still want to look human, this has been my saving grace. As for the packaging and the wand, both I really like! I love the matte finish to the packaging and the plastic wand I find really easy to work with, unlike some mascaras that have the thickest wand known to man, which you think you’re going to poke your eye out with! All in all I do like this mascara and it definitely lives up to it’s name, however it’s not a ‘you need to buy this‘ kind of product. Have you tried out this mascara? What are your thoughts on it?